Various stitching choices set your product apart. 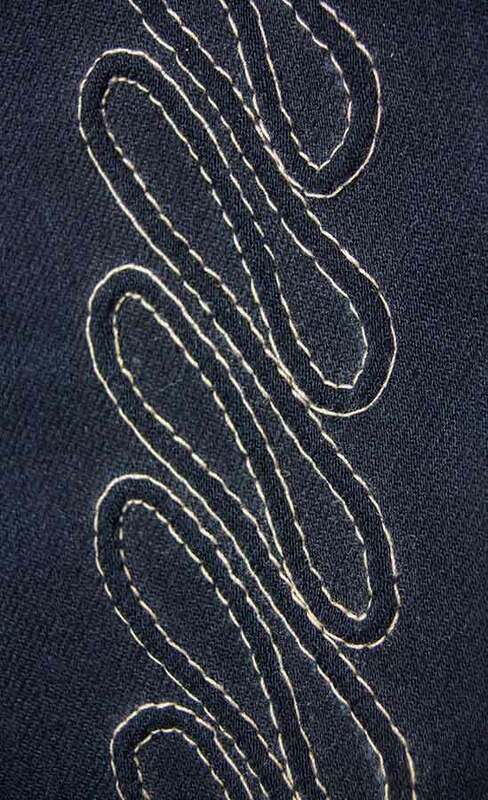 We offer numerous stitching styles and techniques to incorporate into your designs. Choices include Zig-Zag, Blanket stitch, Overlock, Merrow Edge, Soutache, Chain Stitch, Air Stitch, and many more. Let us know what you want and we can do it!